AMAZING VIEWS, VIEWS, VIEWS! Mid Century Modern home with stunning bay/ocean/city views appreciated from the spacious great room with vaulted ceilings, open kitchen and large front patio. The great room boasts new designer flooring and remodeled cozy fireplace, and the open chef's kitchen has a large breakfast bar. All bedrooms have new carpet, bathrooms have new counter tops, and the guest bedrooms and master bath offer new windows. The interior/exterior has been freshly painted. A MUST SEE!, AMAZING VIEWS, VIEWS, VIEWS! 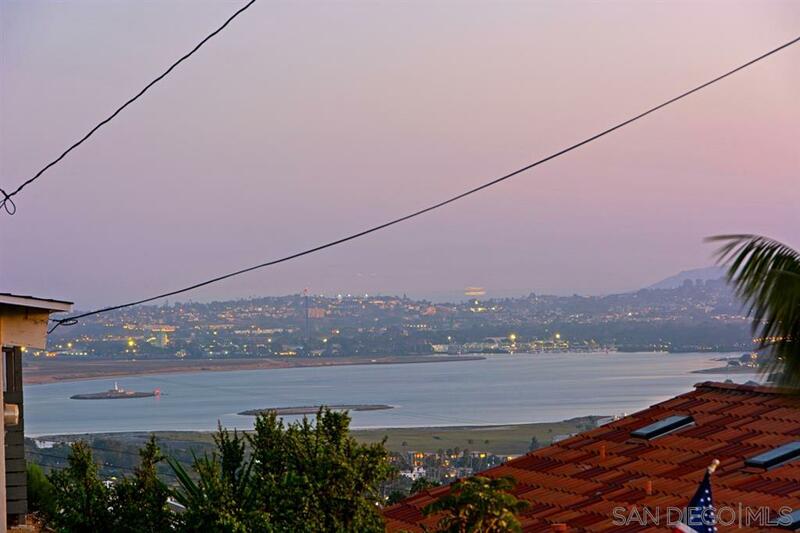 Beautiful single level Mid Century Modern home with stunning bay/ocean/city views appreciated from the large front patio, spacious great room and open kitchen. You will immediately feel welcomed by the living room featuring new windows, vaulted ceilings, architectural ceiling beams, interior glass enclosed courtyard, new designer flooring and remodeled stone surround fireplace. The open chef's kitchen is light and bright with white cabinets, new SS refrigerator, new sink faucet and hood, and has a large breakfast bar. All bedrooms have new carpet, bathrooms have new counter tops, faucets, fixtures and lighting, and the guest bedrooms and master bath offer new windows. The interior and exterior has been freshly painted and the driveway is brand new. The backyard is pool size and offers a great area to entertain. This wonderful view home is A MUST SEE!